Forget late payment, difficult customers, red tape and unfair competition. As damaging as all of these are in trying to run a successful small construction company, it seems that the biggest threat to a builder’s livelihood remains having the tools of his trade stolen, either from under his nose on site or from his parked up van. 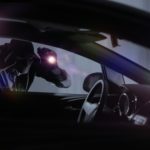 A new survey by a national security equipment company has found that whilst targeted theft from large contractors and plant operators is a major problem, the biggest proportion of construction industry crime comes from the theft of supplies, materials and power tools from small sites. It is a subject we picked up on more than a decade ago, when we described the problem as reaching epidemic proportions. Back then, hardly a week went past when we didn’t hear from a builder who had been cleaned out, some of them for the second or third time in a year. Naively perhaps, we thought the problem had receded somewhat, but this latest report confirms that it has never really gone away and, if anything, is even more prevalent as workloads pick up after the deep economic recession. Now, just like then, the thieves rely upon the fact that the builder has to restock to earn a living, so they return with clinical precision. The sophistication and organisation of the thieves makes it clear that we aren’t looking at people simply feeding an addiction or opportunists. Many of the gangs are known to the police, and have previous convictions, so it shouldn’t be difficult to track them down. All that is required is the political will and resource to pursue the criminals. Unfortunately, this type of offence consistently falls under the radar, largely ignored in favour of pursuing the latest more trendy ‘crimes against society’. A couple of years ago, our own Roger Bisby had one of his woodworking machines stolen off site while it was being product tested. Despite having the registration number of a suspicious vehicle the police were reluctant to pursue the case: “You’ve had that – put in an insurance claim,” were their very words. One plumber who came to our attention around the same time had his van and tools stolen. The van being rather old was of no interest to the thieves so, having emptied it, they abandoned it. It was illegally parked, so it was subsequently recovered to a police pound. The final insult to the plumber was the £250 he had to pay to get his vehicle out. Apart from the intolerable burden all this is putting on self-employed tradesmen there is a knock on effect to consumers. As tradesmen are forced to leave the industry rather than restock for the fourth time in a year, the current skills shortage is further exacerbated, which means customers pay more and wait longer for a good builder. Meanwhile the cowboy, armed with a boot full of ill-gotten gains, goes out to fill the void. Buying stolen power tools on the quiet isn’t a victimless crime! Its high time stiffer sentences were handed down to people who are depriving hard working tradesmen of the means to earn a living. For far too long it’s been treated as some sort of occupational hazard. We will once again be writing to Government ministers and police chiefs to highlight the problem. We need your stories to make the campaigning more effective. If you have been a victim of van or site theft write to us or drop us an email outlining the case. Tell us how you feel your case was dealt with and whether the thieves were caught and what sentence they received. It high time the biters got bitten where it hurts.